East meets West! Our corporate team had a visit to see the pre-opening progress of our latest location at the Hilton Dubai, UAE. The opening team will arrive soon and will get this beautiful new location up and running! 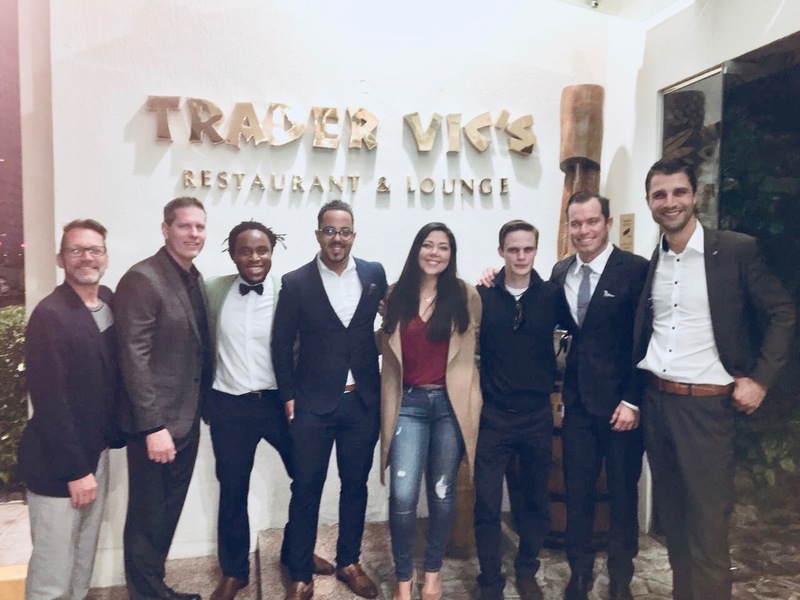 Pictured here from left to right: William Baker, Architect, Justin Becker, Director of Supply Chain Trader Vic’s, Hilary Mathema, General Manager Trader Vic’s Abu Dhabi, Youness Garfa, Bar Manager, Trader Vic’s Abu Dhabi, Ximena Lopez, General manager Trader Vic’s Dubai Crowne Plaza, Damien Vannay, Assistant Manager Trader Vic’s Jumeriah, Rhett Rosen, Executive Vice president Trader Vic’s & Nicolas Rey, General Manager Trader Vic’s Jumeirah. Our youngest crew member, Hugo Debare, made a new friend! 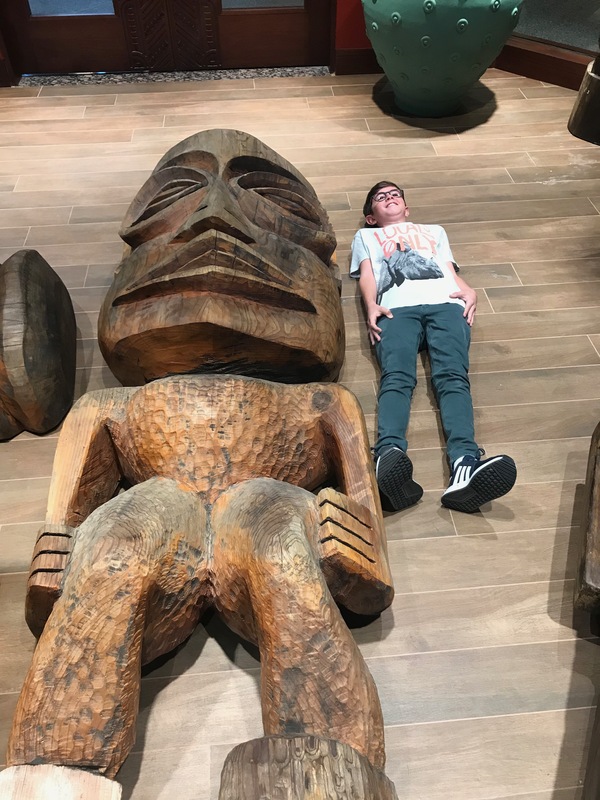 Menehune Sam paid a visit too! 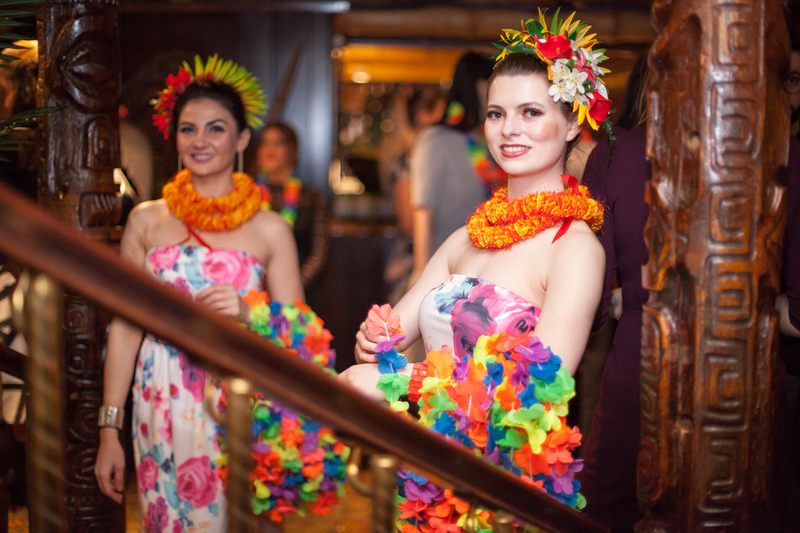 Trader Vic’s London Celebrates 55 Years! 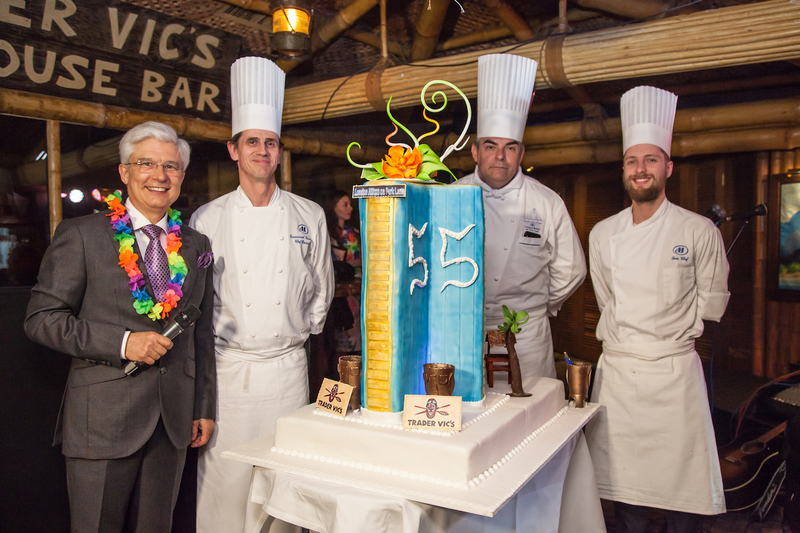 Trader Vic’s London celebrates their 55th Anniversary! Opened in 1963, Trader Vic’s London was the 1st international location for Trader Vic’s and the first “Polynesian” style restaurant in London. Happy Birthday to all our Ohana in London! This month Trader Vic’s in Emeryville, CA celebrates its founder Vic Bergeron on his 115th birthday (December 10), with a very rare and special $1210 Rum Old Fashioned cocktail, Vic’s favorite! 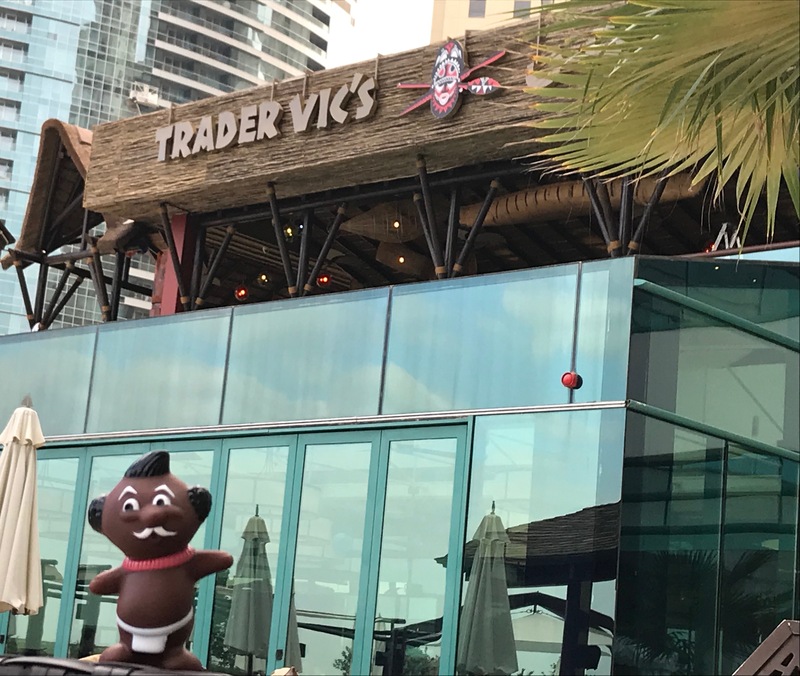 While the cocktail is currently only available at the Emeryville, CA location, you can visit one of nearly 20 global destinations for the authentic Trader Vic’s experience! The Vic Rum Old Fashioned is made using 50-year-old Appleton Estate Rum, a one-of-a-kind aged Jamaica rum. Appleton Estate’s 50-year-old rum provides tasting notes of rich vanilla, layered with cinnamon, chocolate and maple. The cocktail is served in a limited edition glass keepsake created to commemorate the occasion. Each limited-edition keepsake glass is numbered with a matching letter of authenticity. 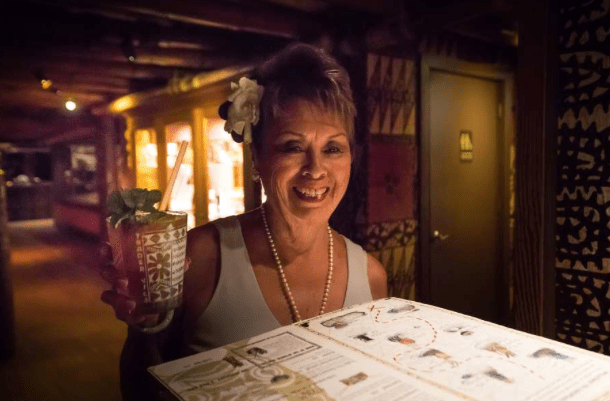 Celebrate the Royal Engagement at Trader Vic’s! Trader Vic’s has a drink called the Royal Suits available in its London and Emeryville, California locations, a gin martini featuring Beefeater Gin, angostura bitters, shaken with a twist — fit for a queen, or a future duchess! In 1986, the Queen of England dined for her first time in a public restaurant and it was at Trader Vic’s in San Francisco. But she didn’t drink a Mai Tai — she enjoyed a single gin martini before dinner. 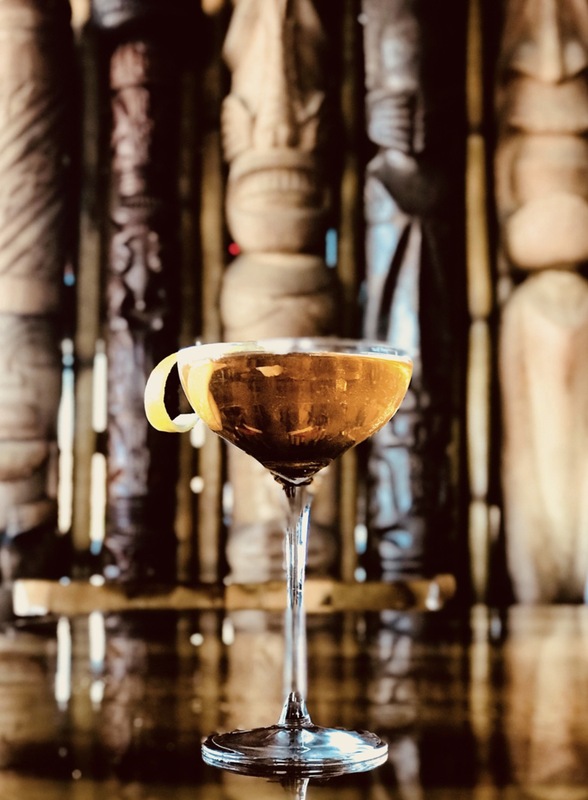 In tribute to that monumental moment in history, and Harry and Meghan’s announcement, Trader Vic’s has a drink called the Royal Suits available in its London and Emeryville, California locations, a gin martini featuring Beefeater Gin, angostura bitters, shaken with a twist — fit for a queen, or a future duchess! 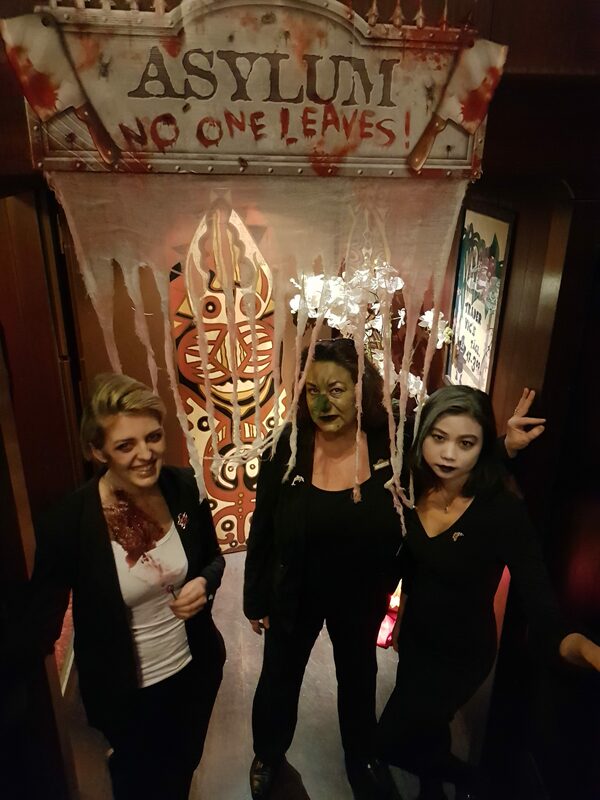 General Manager Heike Schroder and staff transformed Trader Vic’s Munich into an Asylum this Halloween! 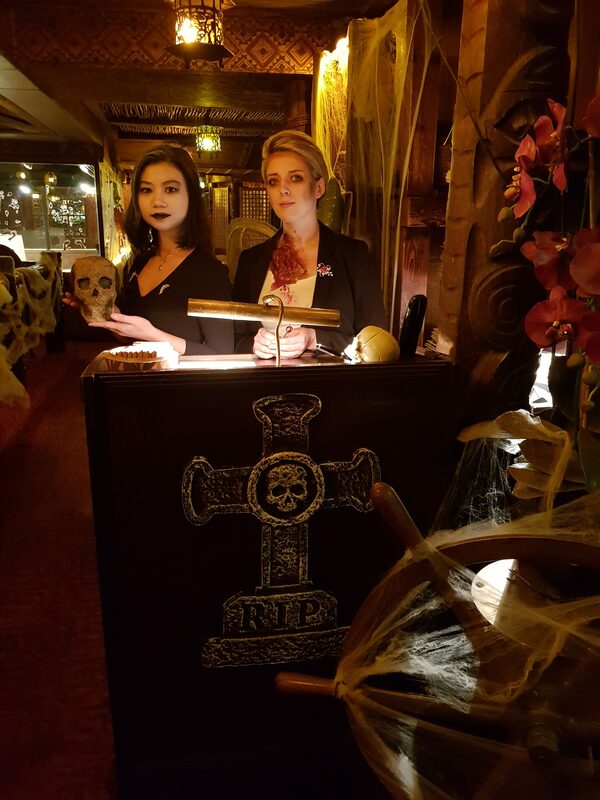 Although some of our guests were happy to stay because you can get Mai Tai’s and Pupus at this Asylum ! Let’s get the record straight…The real Mai Tai Day is August 30th! If you Google the word “Mai Tai”, you’ll end up with almost 75,000,000 results. Some where, somehow on the internet June 30th has been declared National Mai Tai Day. We want to set the record straight! The real “Mai Tai Day” is August 30th! We even have a proclamation from the City of Oakland confirming the official day! The Trader himself could not have predicted the Mai Tai’s worldwide popularity on that fine day in 1944 when he made history by simply creating a concoction for some friends at his Oakland bar. The Mai Tai is everywhere! Even a pair of Jimmy Choo shoes have been called, “Mai Tai”. That will set you back about $895, of course, but we prefer the real thing – sipping an Original Mai Tai® in its original setting, Trader Vic’s. 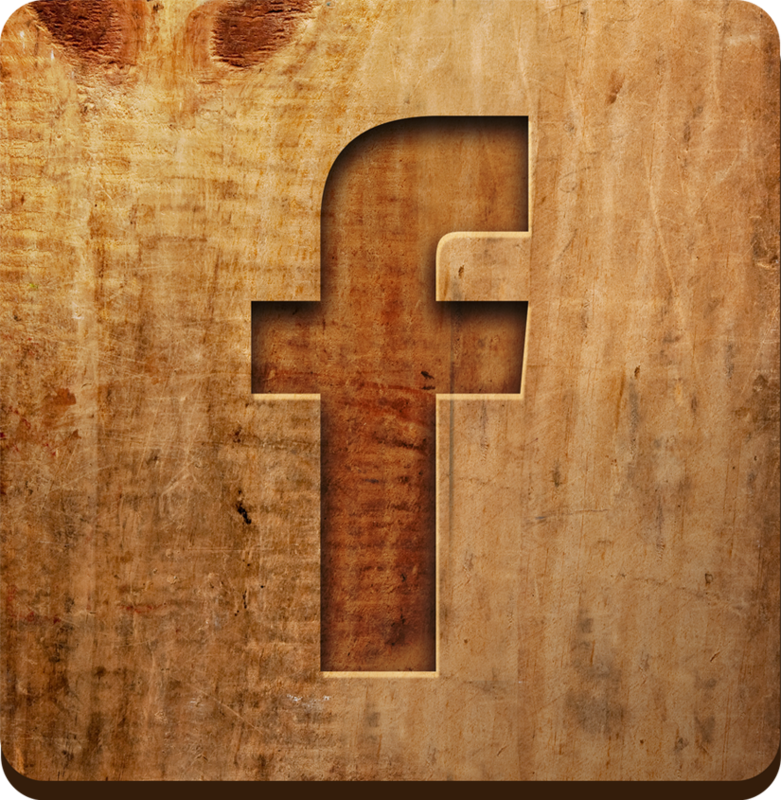 “I was at the service bar in my Oakland restaurant. I took down a bottle of 17-year old Jamaican J. Wray Nephew rum, added fresh lime, some Orange Curacao from Holland, a dash of Rock Candy syrup, and a dollop of French Orgeat, for its subtle flavor. A generous amount of shaved ice and a vigorous shaking by hand produced the marriage I was after. Half the lime shell went in for color, I stuck in a branch of fresh mint and gave two of them to Ham and Carrie Guild, friends from Tahiti, who were there that night. 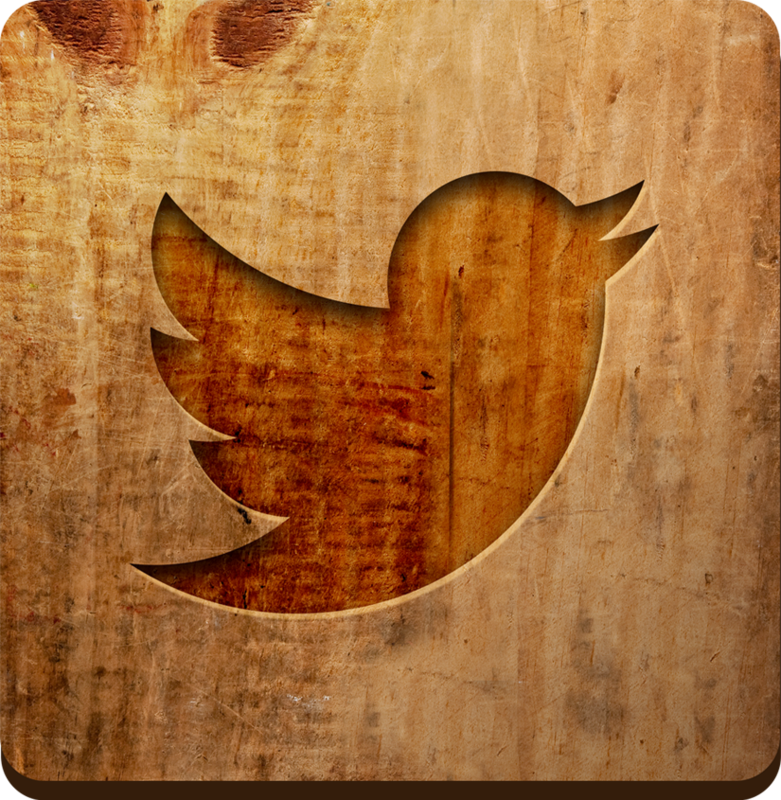 Carrie took on sip and said, “Mai Tai – Roa Ae”. In Tahitian this means “Out of this World – The Best”. Well, that was that. I named the drink “Mai Tai”. As Trader Vic’s expanded, so did the popularity of the Mai Tai, reaching Hawaiian shores in 1953 by way of The Matson Steamship Lines when they asked Vic to develop menus for their bars at the Royal Hawaiian, Moana and Surfrider Hotels. When Trader Vic’s became an international brand in the early 1960s, the Mai Tai’s fame spread like wildfire and quickly developed into one of the most ordered drinks throughout the world. 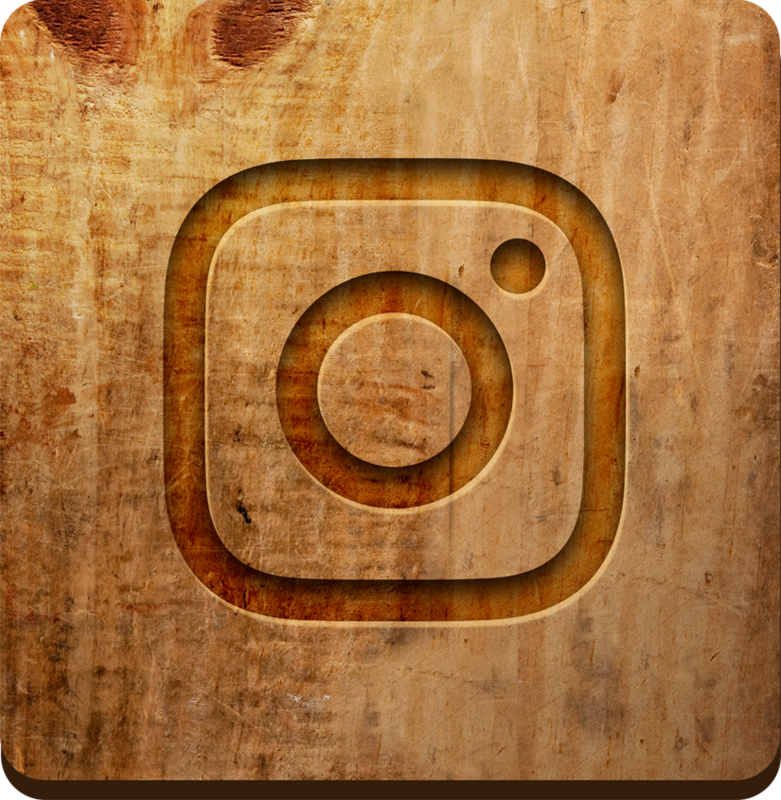 – Dragon Con 2017! 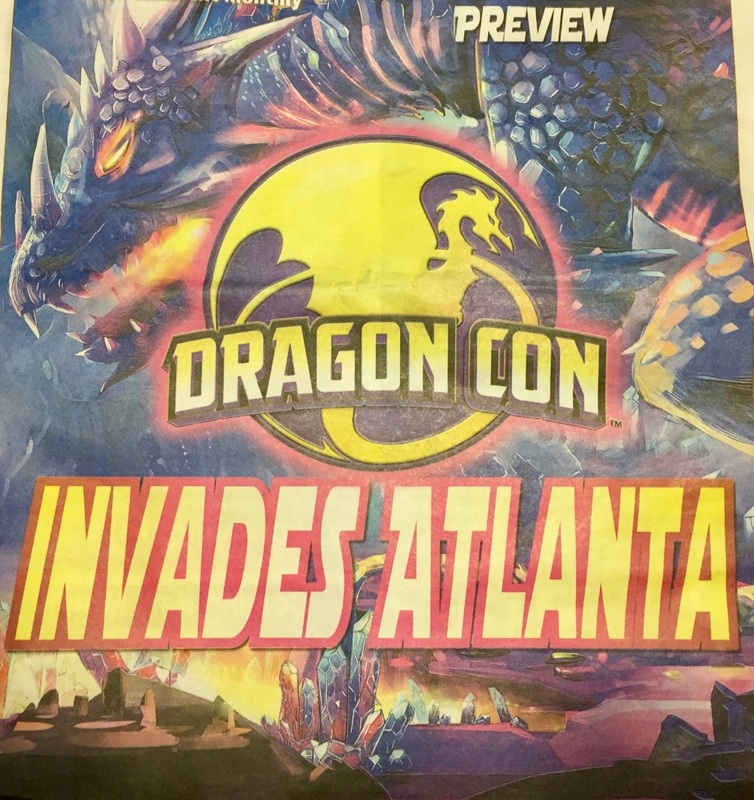 Atlanta’s largest Convention returns over the Labor Day weekend. This year the Hilton Atlanta has planned a Costume competition on Wednesday August 30th! Best costume will receive a gift certificate for a Dinner for two at Trader Vic’s Atlanta. 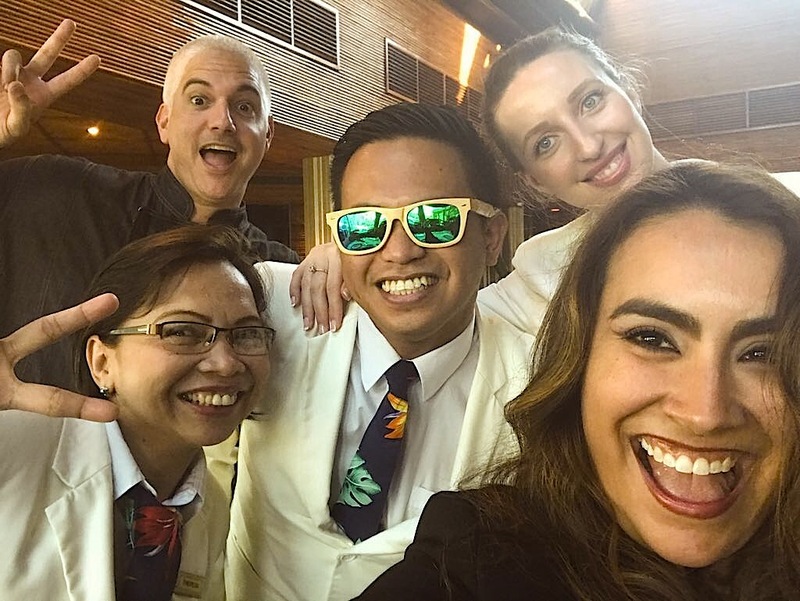 Trader Vic’s Corporate Team in Bahrain! 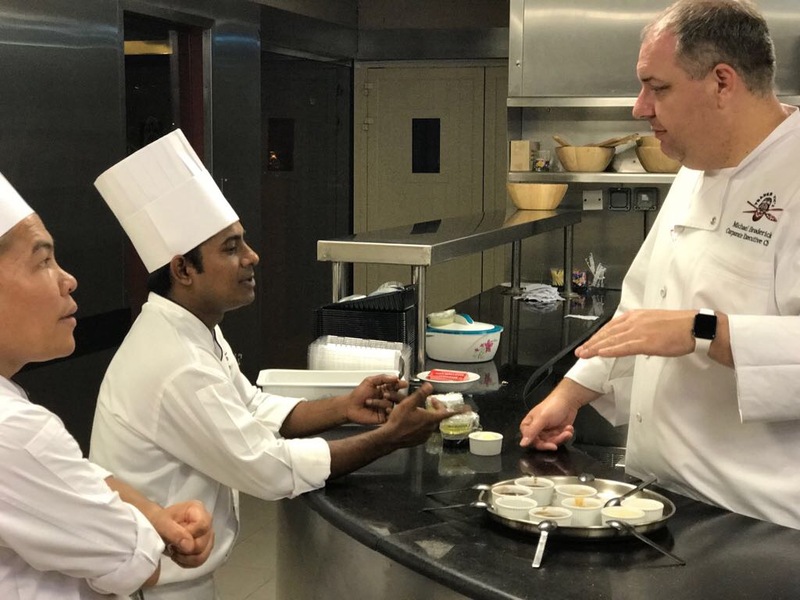 Have a “Behind the Scenes” look at the Trader Vic’s Corporate Team at our location in Manama, Bahrain at the Ritz Carlton Hotel in July. Trader Vic’s Food and Beverage Director Raquel Rodriguez and Beverage Director Nick Ascenzo celebrate Captain Edgar’s win at the F&B Test! Setting up the photo shoot! 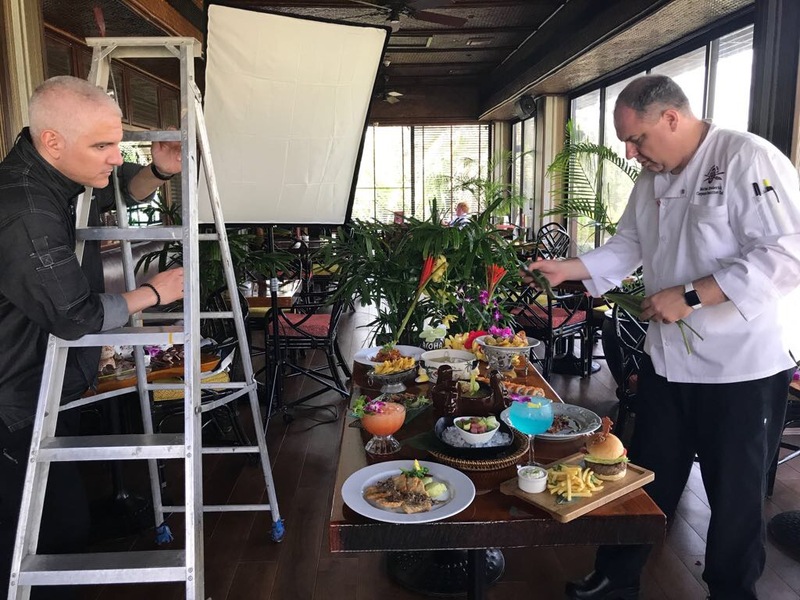 New dishes & drinks coming your way!